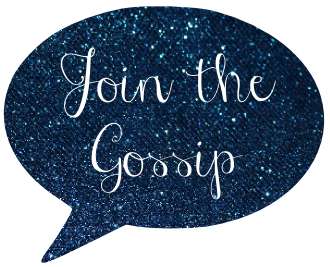 Join The Gossip: "There's a love in all our souls and it shines like gold!" "There's a love in all our souls and it shines like gold!" This weekend I am super excited to see on of my favorite bands, The Bouncing Souls! They'll be at the famous Troubadour in Los Angeles and so will I...either front and center, or getting pushed around in the back by the rowdy crowd lol. I've seen them a bunch of times and it's always fun. But since they are a punk band, things always get pretty crazy. If I could put together any outfit for the show, I wouldn't mind rockin' this look below! Notice the gold accents? And the title of this post (which are lyrics from a Bouncing Souls song caleed "The Gold Song")? Today is all about gold in celebration of av of Long Distanace Loving's "golden anniversary"! Congrats to her for hitting a milestone: 50 weeks of Friday's Fancies. Yay! Here's to many more!! Be sure to head over to her blog and say hello. And while you're at it, link up with her weekly Friday's Fancies blog hop. Another fashion must today? Linking up with Kori of Blonde Episodes for weekly installment of Fashion Friday. It's fun and easy - just post about fashion and add your name to the blog hop! I hope you have a great time at the show this weekend! The outfit you put together is very glam punk...love it! The skull tank would look great with that red blazer. The perfect outfit for the occasion! Have fun! Edgy outfit! Have fun this weekend at the show! Perfect look for a show!! I love that red jacket! Too cute for words. Love the rocker look you created, darling! Oooh my favorite is the bag! Great pick! Have fun at the concert!!! I love that punk rock look!! I LOVE THE ENTIRE OUTFIT YOU PICKED! Can you tell??? hahaha. that red sweater / jacket is so fabulous. want it! i feel like red and green are going to be making a big splash this season! I love the thank and those flats are adoraballs! Love! Sooooo cute! I love the earrings and the shoes so much! I miss punk shows. I got too old. Hahaha. such a hop outfit! have fun this weekend! Great outfit. Have a awesome weekend. loving the bag, as well as the edgy skull top! super cool! I really really...really need that bag in my life, lol. a lil rock & roll never hurt an outfit; i like it! I hope you had a fantastic time. That outfit would have been awesome. I love the flats. Loving this outfit. I can't wait to hear how the concert went! thats a great concert look!